Central and Eastern Europe's rapid economic ascent during the past few years has put the somewhat-overlooked area firmly on the radar of Western investors hunting for the next big thing. Within the region, it is Poland in particular that stands out, partly driven by the potential stemming from a young and highly educated population, the still comparatively low cost of labor, and the fact that the country is producing thousands of software engineers and developers. Data from the World Bank shows that over the past 20 years the Polish economy has quadrupled in size, in terms of real GDP, and it is currently the eighth-largest economy within the European Union. The country also boasts an increasing tally of digital success stories, in part driven by the fact that tech giants such as Google, Amazon and Microsoft all run sizable R&D and engineering hubs, which in turn is creating a fertile ground for digitally savvy founders. Recent figures show a marked rise in the number of startups in Poland, which stood at around 2,400 in 2015 but is fast approaching the 3,000 mark, according to a paper from Cracow University of Economics. Furthermore, accelerators are booming too, with 24% of startups—twice as many as last year—obtaining financing thanks to these entities, per the most recent Polish Startups report. The CEE region as a whole has seen an increase in access to capital as money invested in startups has swelled during the last couple of years. In 2018, investors poured €645.7 million into companies in the area, per the PitchBook Platform, compared to €428.2 million the previous year. All of this has led to an increased number of homegrown VCs, which are supporting local talent and a burgeoning ecosystem. One of them is Alfabeat, an early-stage investor founded in 2016 by school friends Bartosz Lipnicki and Jan Wyrwinski. The firm has made more than 10 investments since its inception, creating a portfolio that's almost sector-agnostic. Its portfolio of startups includes UK-based medtech business Andiamo and the Latvian game monetization platform Monetizr. It has also backed Intiaro, a US-based software provider that helps furniture retailers and manufacturers develop ecommerce capabilities. Unlike the majority of venture investors in Poland, Alfabeat actively pursues deals outside the country, and those investments done within its home market are made with a view to expanding the startup internationally. 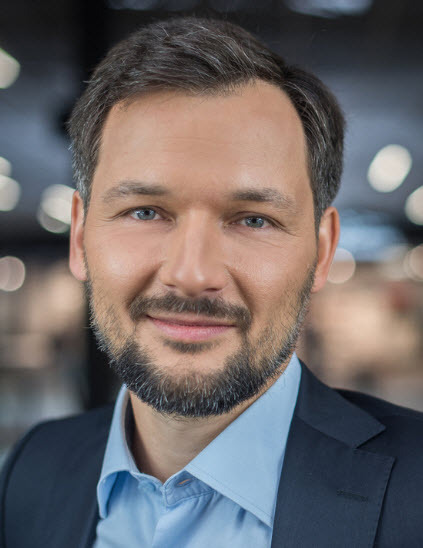 "We are very clear when speaking to founders about our ambitions," said Bartosz Lipnicki (pictured) during a recent interview with PitchBook. "Because our outlook is international, whatever the companies we back build and develop in Poland will be benchmarked against the best and brightest in the world and has to be up there with them." And unlike in hubs such as London or Berlin where it is not unusual for a founder to come straight from university—or even be a dropout—Alfabeat has a unique take on the demographics of the founders it backs. "We are looking for an experienced team of founders—people who have gained knowledge, experience and insights from elsewhere before becoming entrepreneurs," Lipnicki explained. "For our purposes, they all tend to fall into the age bracket of between 35 and 45 and have a software-based product, which is, even at its early stage, generating revenues and has a huge potential to grow." The emergence of a developing ecosystem is underscored by other investors that have been entering the field and are supporting startups with ambitions to grow internationally. 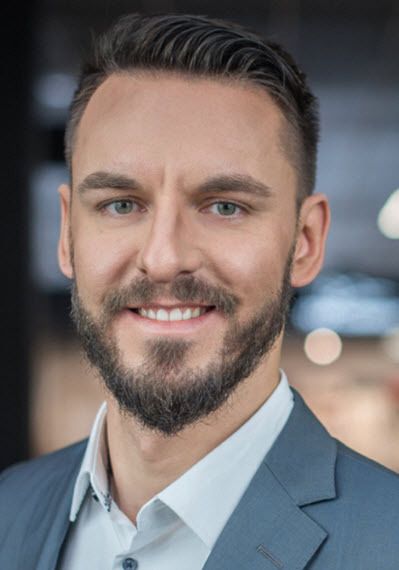 Innovation Nest, founded by serial entrepreneur Piotr Wilam and seasoned business executive and serial board member Marek Kapturkiewicz, has a similar approach to Alfabeat. It makes seed- and early-stage investments but focuses predominantly on startups from the CEE region, with a view to nurturing them to the point that they are able to expand internationally. Investments include San Francisco- and Warsaw-based outbound sales platform Growbots and Infraspeak, a Portuguese software developer that secured €1.6 million last year in a round co-led by Innovation Nest and Firstminute Capital. Elsewhere, Warsaw-based early-stage venture firm Market One Capital was founded in 2017 by a group of four investors, who combine programming, management experience and entrepreneurial expertise to back startups throughout Europe. The firm supported the €3.3 million Series A for Athens-based startup Welcome Pickups in March, as well as Nautal's €2.2 million fundraise, which the Spanish boat rental company secured last year. Market One has invested in more than 35 startups to date with a strong focus on marketplaces and B2B software. What all of the investors appear to have in common is the conviction that Poland—and the CEE region overall—is on the way up and on the cusp of becoming a fully fledged member of the developed European venture ecosystem. This is something Lipnicki acknowledged, adding that he and co-founder Wyrwinski (pictured) have a similar vision: "Jan and I believe venture in CEE in general, but in Poland specifically, is only at the very beginning of its journey, and that the next few years will be incredibly exciting and see the ecosystem evolve very fast. It has up-and-coming hubs, it has a deep engineering talent pool, and you see founders with a drive to establish companies with global potential." One of the ingredients of success for every startup is a team that has the technological know-how to turn a founder's vision into seamlessly working technology, so access to a wide pool of software developers, data scientists and engineers is crucial. The aforementioned development centers of global tech giants offer a huge pool of talent, who might become founders themselves or leave the giants to team up with a thriving startup. Add to this the large amount of tech talent that gained experience in hubs such as Berlin, London and Paris and put the acquired knowledge to work upon returning to their home nations. When asked about talent acquisition and the depth of the pool, Lipnicki had a succinct response. "The simple answer is, it's pretty good!" he laughed. "Yes, the global businesses over here ensure individuals get the proper skills and mindset, but, generally speaking, what is also vital is that pool is available at a relatively low cost—in particular when you compare it to the likes of London or Silicon Valley. So we have a similar level of individual expertise based on the training and the knowledge gained from these global data centers but at a fraction of the typical costs." The continental VC ecosystem has been rapidly evolving and playing catchup to London, which is still dominant in terms of capital invested and startups running through the lifecycle to exit. Stockholm, Paris and Berlin now all boast sizable communities and investors with capital and the know-how to support up-and-coming companies. Looking forward, however, it is not a stretch to imagine the countries that make up the CEE region, and Poland in particular, developing into fully fledged and self-sustaining hubs in their own right. Said Lipnicki: "For me, the big question is not if but when the tipping point is coming. Will it be this year? Maybe, but it doesn't really matter if it's next year or the year after that. All the potential, knowledge and talent for thriving startups is based here. There is a lot of drive, and it's exciting to be in this early stage of the wave."